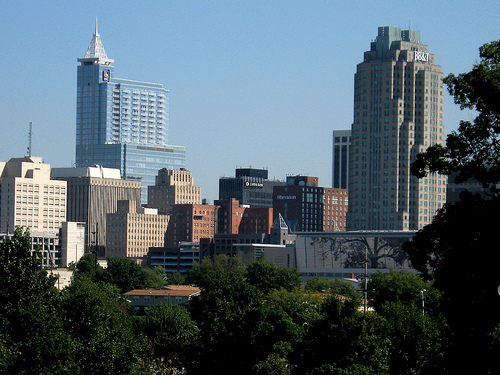 Raleigh, NC is one of the best of places in United States to do business. The region has a matter of fact been ranked as not just the best place to live but also the best place to do business. Small businesses especially tend to thrive highly mainly as a result of the good economy in the area as well as the already set business standards. This is more especially because it lies within the Research Triangle; an eight county region that got its name out of its aggressiveness to develop in terms of high tech enterprises and businesses. A greater majority of the small businesses in Raleigh that meet specific standards as set by the Research Triangle are afforded tax credits. These include tax discounts, various refunds and exemptions as well as other program that enable the business to save hence by able to expand. Tax credits are therefore made accessible to businesses that are going to create jobs for the residents and those who are making remarkable contributions towards the digital media among others. Through the Department of Revenue in North Carolina, one can easily check whether they qualify for any of the above mentioned exemptions and credits. All of this information is made available through the department’s official website. Incentives offered to small business owners in Raleigh are basically driven towards giving them competitive advantage over other businesses in other regions. Examples of these incentives are the financial incentives. These are geared towards lessening one’s tax burdens thereby enabling them lower down their overall costs. The incentives further target businesses that are either locating to or starting up within the region thereby making the conditions favorable for them to thrive economically. One is advised to first identify all of the legal rules and regulations governing the Raleigh business environment before settling in and opening a business. Some of the key issues that a prospective entrepreneur has to look into include the licensing procedures as well as the process that one has to undergo before they can get a permit to run the business. The right place to get this kind of financial assistance is through the Business Link North Carolina. This is because the requirements vary in terms of the kind of business one intends to start. Further information regarding the rules and regulations governing the small businesses in Raleigh can as well be got through the office of the Secretary of State via the Corporations Division and, through the official website of the Customer Services Section in North Carolina. The region benefits highly from its proximity to the nation’s major markets as well as its being highly connected to the rest of the world. The infrastructure is also very good and has highly maintained highways, international airports, water ways and excellent internet access but despite all this, the cost of doing business is remarkably low. Businesses that are currently benefiting from the new developments include those in the biotechnology, information, software, textile, sustainable energy and automotive fields.